While it’s a day off for the players it is a work day in the Phillies baseball operations department. Baseball’s trading deadline is 4 o’clock this afternoon, EDT. GM Matt Klentak and his staff will continue to make calls and take calls about possible deals. After today players can be moved but they need to go through waivers. Last August 19, the Phillies sent Chase Utley to the Dodgers after he cleared waivers. Chase, by the way, will make his first return visit to Citizens Bank Park on August 16-17-18. Following the 10-game road trip, the players got to unpack and relax. Following Wednesday’s night game, its packing again as the Phillies hit the road again. This time, three games each in San Diego and Los Angeles’ Dodger Stadium. First-place Giants start three-game series Tuesday night. Their three best starting pitchers are lined up to face the Phils. Road trip ended 4-6. Phillies batted .151 with RISP, just two extra-base hits . . . July also ended, 13-14; month started 7-3 and then came the All-Star Game four-day break . . . Happy Birthday today, Pete Mackanin (65) . . . According to http://www.broadandpattison.com the Phillies have a 63-42 record on August 1. Somebody notify MLB the Phillies MUST play on this date next season! Lehigh Valley IronPigs (66-42), 2nd place, International League North Division. Won 2 of 3 in Rochester to finish July 20-7. 3-0 W Saturday, David Buchanan, 7-4-0-0-0-6; SV: Luis Garcia (7). 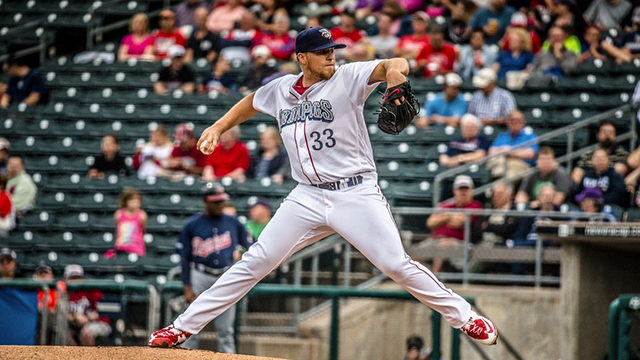 Buchanan in July: 4-0, 0.63 ERA, 0.83 WHIP. Shutout was LV’s 13th, new single-season record. 5-1 W Sunday, Jake Thompson (photo) (11-5), 7-4-1-1-0-2. Club-record 5th straight W, 1.69 ERA in those wins, 6 ER in 32 IP. Weekend bats: C Andrew Knapp, 5-10, 2 2B, 2 R, 2 BB . . . DH-1B Darin Ruf, 4-11, 2 R, HR (14), RBI, BB . . . 2B Jesmuel Valentin, 4-8, 2 R, RBI. Adam Morgan (4-1), 7:05 tonight vs. Scranton/Wilkes-Barre, the start of a 4-game series. SWB leads LV by 1 game. Reading Fightin’ Phils (70-35), 1st place, Eastern League Eastern Division. Wet weekend in Erie. 4-3, 10-inning loss on Friday night . . . Leading 4-3 after 8 1/2 innings Saturday, game was suspended after a 38-minute rain delay. Game was completed Sunday and score stood . . . Leading 2-0 after 1 ½ innings, Sunday’s regularly-scheduled game was suspended. It will resume August 20. Weekend bats: 2B Scott Kingery, 4-9, R, RBI . . . LF Andrew Pullin, 4-9, 2B, R . . . RF Dylan Cozens, 3-8, R, HR (27), RBI, BB. Ricardo Pinto (4-4), 7:05 tonight vs. Bowie. Reading has a 3 ½-game lead over Trenton. Clearwater Threshers (24-13), 1st, 2nd half, Florida State League North Division. Wet weekend in Ft. Myers, winning all 3 . . . C Chace Numata’s RBI 1B in T9 won Friday night’s game, 7-6 . . . RF Cord Sandberg’s RBI 1B T8 was game winner on Saturday, 3-2. The night featured two rain delays totaling 3:50 . . . Won, 8-6, on Sunday in a game called after 5 ½ innings by rain after 1:06 delay . . . Winning pitchers: Victor Arano (4-1), Matt Hockenberry (2-1), Will Morris (7-2). Weekend bats: Numata, 4-8, HR (2), 3 RBI, 2 R, 2 BB in 3 games; Sandberg, 5-6, 2B, 3 R, 2 RBI in last 2 games. Elniery Garcia (9-2), 7:05 tonight in Ft. Myers. Clearwater has a 1-game lead over Dunedin. Lakewood BlueClaws (20-15), 2nd place, 2nd half, South Atlantic League North Division. Lost 2 of 3 in Augusta . . . 4-1 and 3-2 losses in 1st 2 games . . . Won, 12-7, on Sunday, scoring 10 runs in the 7th inning, 13 batters, 3 1B, 3 2B, 4 BB; 10 runs matched franchise record. WP: reliever Zach Morris (6-1), 3 scoreless IP; has allowed 1 run in last 36 IP. Weekend bats: OF Zach Coppola, 4-11, R, 2B, 3 RBI in 3 games; 3B Damek Tomscha, 6-12, 2B, 2 R,2 RBI in 3 games. Alberto Tirado (2-1), 7:00 tonight in Greensboro. Lakewood trails Hagerstown by ½ game. Greensboro is ½ game behind Lakewood. Williamsport Crosscutters (26-16), 2nd, New York-Penn League Pinckney Division. Weekend bats: CF David Martinelli, 4-9 in 2 games, R, RBI; LH-PH Mark Laird, 5-6 in 2 games, R, SB. Ranger Suarez (4-0), 7:05 tonight in Mahoning Valley. Williamsport trails State College by 2 games. Gulf Coast League Phillies, (21-10), 2nd place, Northwest Division. 4-2 loss on Friday to Blue Jays, ND: Sixto Sanchez, 6-5-0-0-1-2, lowered ERA to 0.55 . . . Winning 5-2 on Saturday vs. Blue Jays, the rains came and the game was suspended; will be resumed later this month . . . 12 noon today vs. Yankees East in Tampa. Phillies trail Blue Jays by 4 games. August 1, 1971–St. Louis scores three in the top of the 12th at Veterans Stadium when it the game is halted by rain. 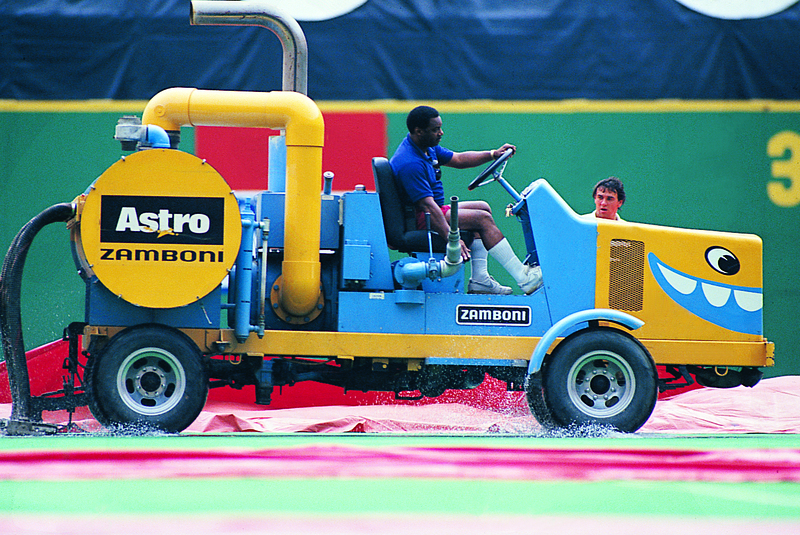 The Zamboni machine, used to vacuum the water from the artificial playing surface, breaks down. Cardinals file a protest and the NL rules a 3-3 suspended game, to be completed prior to the regular game on September 7. When the game resumed, Phillies score three in their 12th to tie before St. Louis wins in 13, 9-6.
die Organisationsformen des zwischenmenschlichen Zusammenlebens weiterentwickelt haben.